Avengers: Infinity War Monday (4th Day) Collection Report. Gone Nuts. 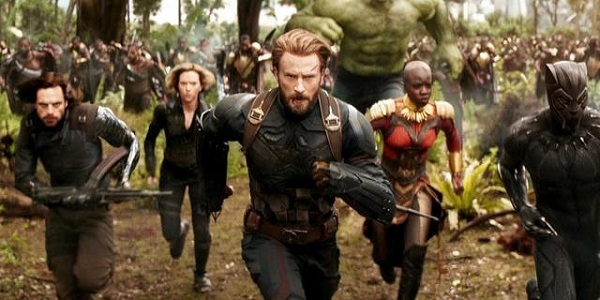 Avengers: Infinity War has simply gone nuts on Monday (4th day) at Indian Box Office. Film has not only hold well on start of weekday but has shown extra-ordinary hold from Friday. Drop from Friday is just around 35% which is mindboggling. Just imagine Friday business was in excess of 30 crores. Hence, even a 50% drop would have been nice. Avengers has collected an approx 20-20.5 crore nett for Day 4 as per estimates. Thus, film total business currently stands at approx 114.3-114.8 crore nett. Film is simply unstoppable right now. Avengers will enjoy May day Holiday on Tuesday (5th day) and expect business to be in the region of 25 crore mark or even more. Avengers first week business is certain to touch or cross 170 crore mark. Film is almost certain to cross 200 crore in India now. In fact film has a great chance to even cross 250 crore in India and may be even touch 300 crores. This is simply insane. No other Hollywood film has ever touched 200 crore, forget 300. Friday -> 31.3 crore nett. Saturday -> 30.5 crore nett. Monday -> 20.5 crore nett (est). Total -> 114.8 crore nett (approx). Thanos Beats Salman Khan, Aamir Khan, Shah Rukh Khan and all others! LMAO! THAT sound when u know bwood don't hv answers to their misery. Hope 2.0 would bring some pride. Last year Bahubali raped them but that anyway was an Indian film and this year Hollywood PEE on em. Hahahaa toomuch fun. Keep making the same products expecting different result.